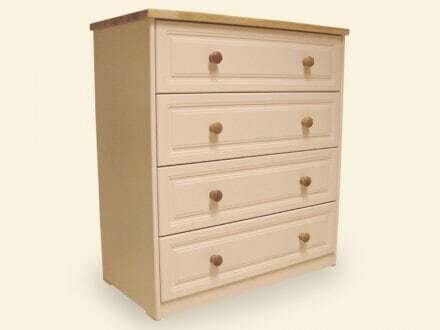 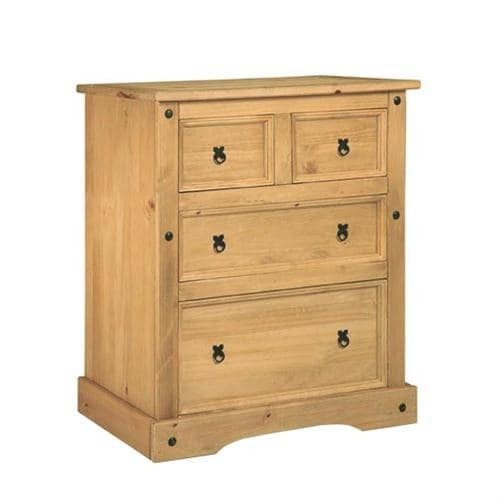 This comforting and fashionable Benedict 4 Drawer Chest also available is a beautifully constructed cream and oak chest with cosy colour and warm resilient texture. 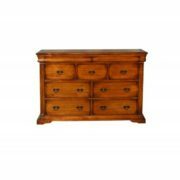 The Benedict 4 Drawer chest is constructed from an Irish manufactured solid oak and MDF which is a highly compressed timber. 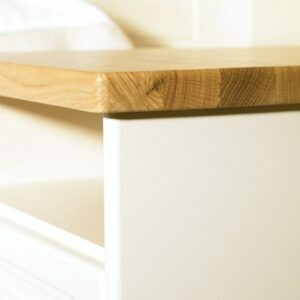 The Oak adds an element of style while the MDF gives the chest strength and sturdiness, sanded, varnished and painted with attention to detail to promise quality. 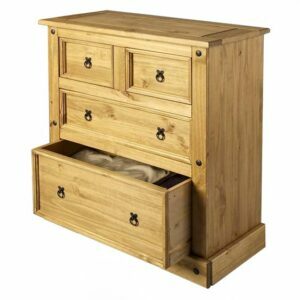 The 4 Drawer Chest is great for storing clothes and accessories as well as valuables. 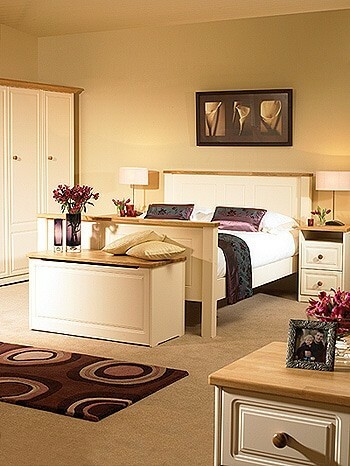 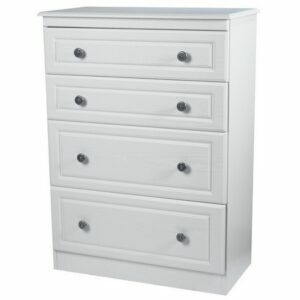 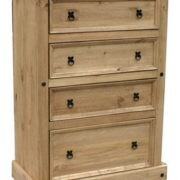 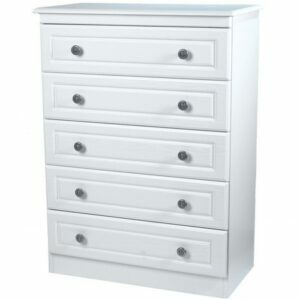 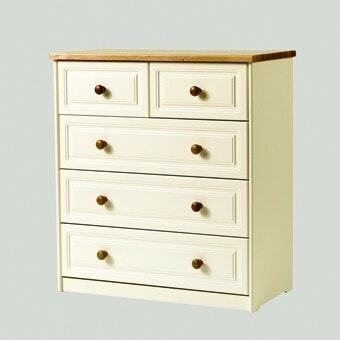 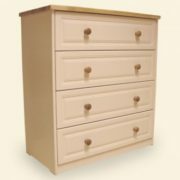 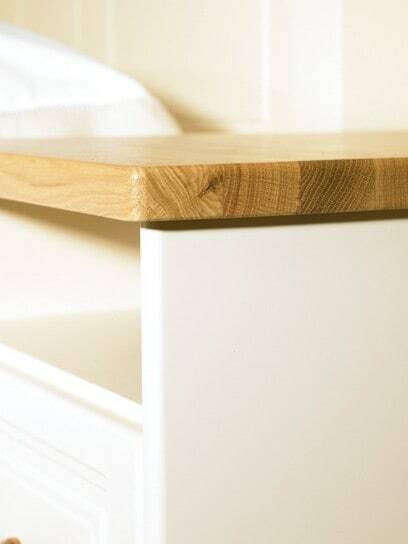 The 4 Drawer chest is available in three finishes Benedict Zen Creme, Benedict Zen White and Benedict Zen Natural.